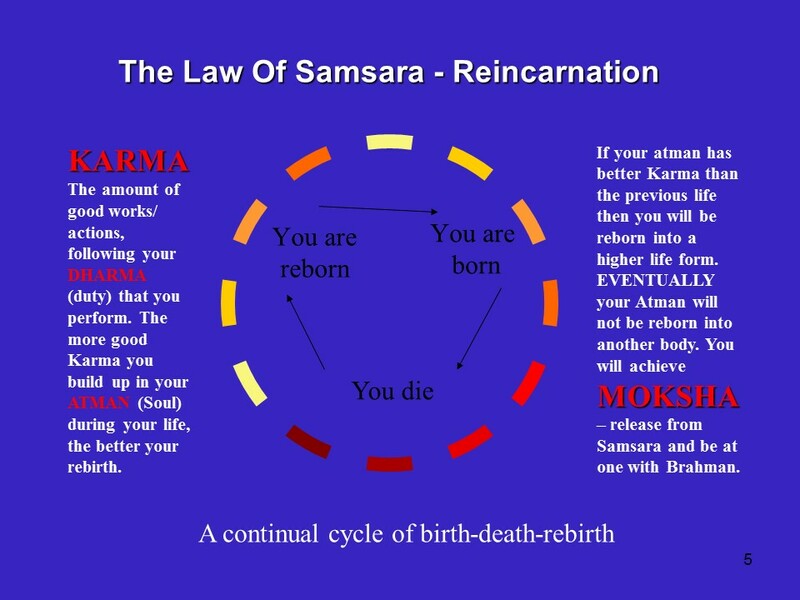 Reincarnation is the Hindu belief that the soul (the atman) will be reborn again and again until it achieves Moksha which is a release from the cycle of reincarnation. 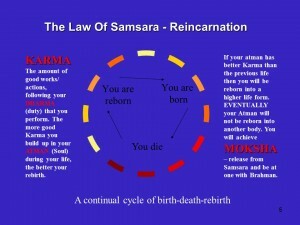 The diagram on the right gives a basic outline of the key terms which can be used when discussing reincarnation. One of the issues to do with reincarnation is how can you prove it? What evidence is there that could lead you to believe that it is a possibility? One area that professionals look at is child past life memories. Is it the key to unlocking a glimpse at previous lives and therefore confirming that there is life after death! One case of reincarnation is that of James Linegar a little American boy who’s parents believed he was a American fighter pilot in the second world war in his previous lifetime. James gave different details of this previous life to his parents during his early years and his dad decided to research the information that James was giving them. Watch the YouTube clip and draw your own conclusions.